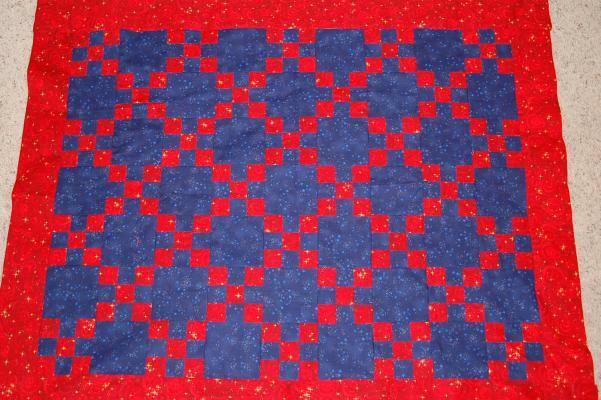 Here is the quilt that Shauna has been working on, it's awesome! It's her first and I think it's pretty good. I finally got all of the photos moved over and enough functionality that I was ready to switch over. So here you are. If you find that there is something that you don't see on this site but was on the old site (there are a couple of small items) then you can go to old.jamesandshauna.com and everything except the photos will still be there. I am running out of space so I had to move the photos instead of copying them over. One of these days I'll get a larger hard drive and then it won't be of much concern. As it is, there are currently 6719 photos and videos on www.jamesandshauna.com. If you use the RSS feed for the site, you'll need to resubscribe to the new RSS feed as it has changed. To my knowledge no one else in the world uses it except me (to make sure that it's working correctly) but I think they are incredibly helpful and dislike sites that do not have them so I made one. If you have no idea what I'm talking about then I strongly suggest to take a look at this post about RSS feeds and then try out Google Reader. Thanks for reading or at least letting me believe that someone other than myself reads this and looks at the pictures. I love my wife and am so thankful that she is so supportive and loving even when we've all had a bad day. Started identifying when things are "stuck"
So there are William's highlights for the week. Abby has been testing her limits and demanding a lot of attention, but she is a sweet little girl. She is looking more grown up every day. Baby #3 is halfway here, Shauna has been pointing out every very pregnant woman and saying "I wish I was that big so I was that close to being done". I think she's ready to be herself again without a bump or child needing her constantly.